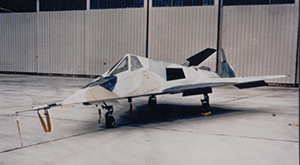 Since its inception in 1958, DARPA has been catalyzing advanced capabilities that have significantly changed outcomes for U.S. national security, repeatedly showing that what had seemed impossible was in fact doable. 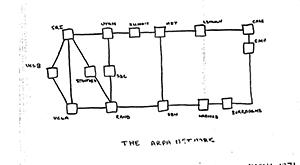 By design, DARPA reaches for transformational change instead of incremental advances. But DARPA does not perform its engineering alchemy in isolation. It works within an innovation ecosystem that includes academic, corporate and governmental partners, with a constant focus on the Nation’s military Services, which work with DARPA to create new strategic opportunities and novel tactical options. One way DARPA aims to spur technology breakthroughs is by hosting events that bring together partners from across the science & technology ecosystem. Through workshops, symposia, proposers days, prize challenges and other special events, DARPA aims to engage thought leaders in diverse technical disciplines. The goal of these interactions is to build interdisciplinary synergy for tackling vexing technical challenges and sparking technological leaps forward. 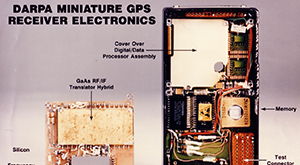 We invite you to explore the Archived Events page to learn about past DARPA events. We also encourage you to peruse our D60 magazine. This 60th-anniversary edition, which we published during our D60 symposium in early September 2018, chronicles some aspects of the agency's past, present, and future. 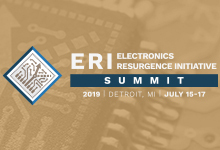 To jump-start innovation and foster forward-looking collaborations across the U.S. electronics community, DARPA’s Microsystems Technology Office will host a three-day event that will bring together those most impacted by the coming inflection in Moore’s Law. 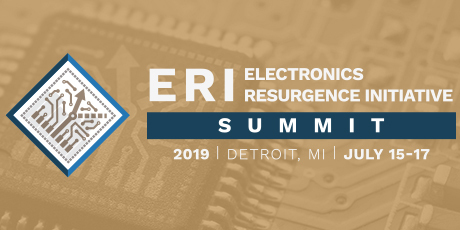 The 2019 ERI Summit will highlight the technical achievements of ERI programs, support continued research collaborations, and offer opportunities to solicit community input on new efforts. 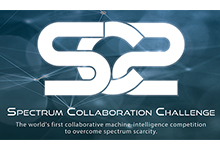 DARPA’s Microsystems Technology Office will hold a series of competitive events as the Agency’s next grand challenge—the Spectrum Collaboration Challenge (SC2)—unfolds over three years, starting in 2016. 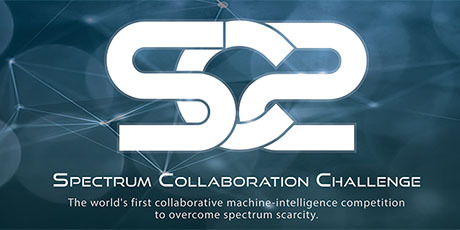 SC2 is the first-of-its-kind collaborative machine-learning competition to overcome scarcity in the radio frequency spectrum. Today, access to the spectrum is managed by dividing it into rigid, exclusively licensed bands. The Tactical Technology Office is holding a Proposers Day meeting to provide information to potential proposers on the objectives of the new Manta Ray program and to facilitate teaming. The principal objective of Manta Ray is to open a design space for future unmanned underwater vehicles (UUVs) that are capable of both long duration missions and large payload capacity. A secondary goal of the program is to advance key technologies that will benefit other naval designs such as low lifecycle cost UUV operations, long duration undersea energy management techniques, biofouling reduction technologies, and long duration navigational enablers. The Tactical Technology Office is holding a Proposers Day meeting to provide information to potential proposers on the objectives of the new Robotic Servicing of Geosynchronous Satellites (RSGS) program and to facilitate teaming. The principal objective of RSGS is to create a dexterous robotic operational capability in Geosynchronous Orbit (GEO) that can both provide increased resilience for the current U.S. space infrastructure and be the first concrete step toward a transformed space architecture with revolutionary capabilities. A robotic servicing vehicle comprised of a robotic payload and a spacecraft bus will be jointly developed by DARPA, and the partner team selected. The long-term vision of the RSGS program is to enable a persistent, reliable, cost-effective cooperative robotic servicing capability in GEO, beginning with the robotic servicer developed under the RSGS program and operated by a commercial entity.